In the state of Massachusetts, the personal use of marijuana is now legal. Indeed, a person can have up to 10 ounces of the drug within their home and not face a penalty. But while it may be legal to use the drug, driving while impaired is still against the law. Which means that the state of Massachusetts is facing a new challenge: figuring out how to deal with marijuana-impaired driving. 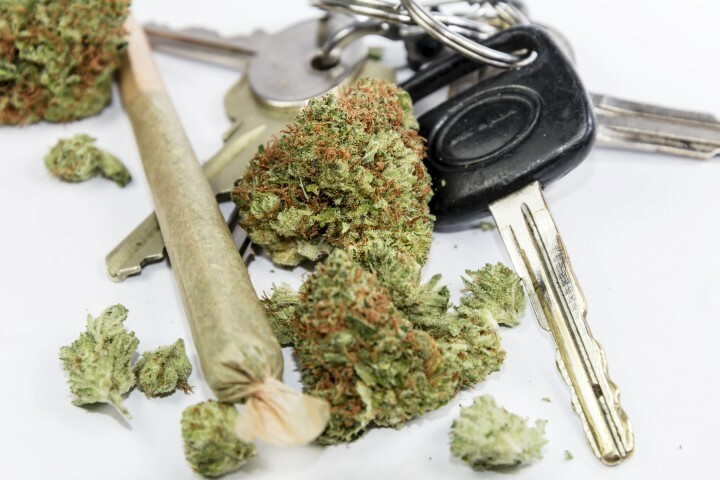 Here’s a look into what you should know about a marijuana DUI in the state, especially if you’re facing drugged driving charges. As found in Section 24 (1)(a)(1) of Massachusetts general code, operating a motor vehicle while being under the influence of any intoxicating liquor or drug, including marijuana, is against the law. While the limit for alcohol is stated as a blood alcohol content level of .08 percent, there is no specified limit for marijuana. Instead, operating a motor vehicle with any level of impairment is against the law. One of the challenges that the state is currently facing is that unlike drunk driving, which can be proven easily with a roadside breathalyzer test or even a blood alcohol test, there is no way to determine the concentration of marijuana in a person’s body roadside; there’s no breathalyzer equivalent. In fact, even if an individual’s blood is tested, there is no way to know precisely when the marijuana was consumed; marijuana metabolites can remain in the blood for weeks after use. So instead of using blood or breath testing, most officers in Boston are relying on roadside tests that examine a person’s balance, cognition, and reflexes. Evidence of marijuana use, ranging from the smell of the drug to visual evidence of the drug can also be used to secure a conviction. Keep in mind that police officers and the prosecution do not have to prove that you consumed drugs or alcohol that resulted in a certain blood concentration of the substance; they only have to prove that you were driving while impaired by a substance in order to secure a conviction. That being said, if you are found guilty of driving under the influence of marijuana, the penalties will mirror those for a typical DUI (in Massachusetts, a DUI is called an OUI – operating under the influence) charge. These penalties may include a large fine, a jail sentence, and a license suspension. If you are facing impaired driving charges in our state, whether those charges involve marijuana, alcohol, or another impairing substance, you need to contact a skilled Boston criminal defense attorney. At The Law Office of Paul R. Moraski, our Boston DUI lawyer can build your case and help you understand your defense options. Reach us today for your consultation by sending our law firm a message or calling our Boston office directly at 978-397-0011.